The 3 jaw chuck fits our RounDino 4th axis rotary table perfectly and allows you to center cylindrical objects with ease. 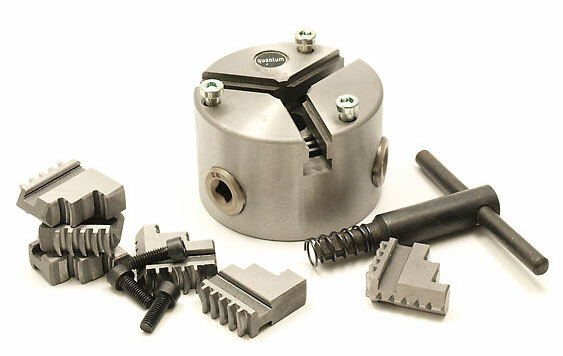 Self-centering chuck with 3 jaws for clamping round objects. Ready to be attached to our RounDino 120 rotary table. An optional tail-stock made specifically for RounDino 120 or the lathe module is also available. A 4-jaw chuck is also available for holding rectangular stock.